Is plastic really bad for me? If yes, how can I shield my family? Do you drink out of plastic bottles frequently? Do you store food with plastic wrap? Do you use a plastic cutting board in your kitchen? Do you freeze your leftovers in plastic? If the answer is yes, continue reading. Common term for plastic you might have come across: BPA stands for bisphenol A BPA is an industrial chemical that has been used to make certain plastics and resins since the 1960’s. 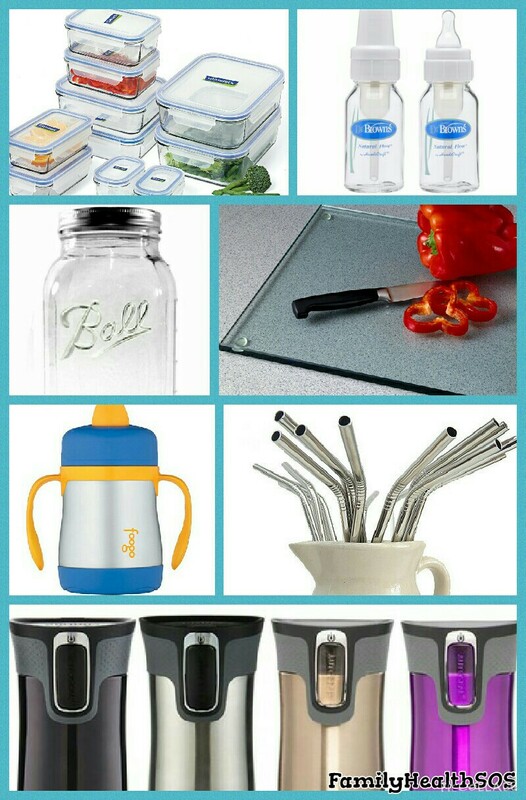 BPA is found in poly carbonate plastics and resins used in food containers and water bottles. Many plastic items you buy may come with a BPA-free sticker and we purchase it with peace of mind. But unfortunately, even at very low level BPA is a known estrogen hormone disrupter, linked to obesity, thyroid disruption and childhood asthma and many scary anomalies. Most BPA-free plastics still are hormone disrupters. A study reported by NPR showed that in a test of over 450 food service and packaging items from stores like Walmart and Whole Foods: over 70 percent released chemicals that mimic estrogen in the body. Melamine, a hard plastic used in mixing bowls, measuring cups, and children’s dishes, can transfer formaldehyde, a known carcinogen. You can make your house plastic-free but unfortunately there is going to be plastic at every step outside your home. So, what can you do to solve the plastic problem? First, take a deep breath. Even if you use plastic you aren’t going to drop dead. Keep plastics out of microwave : Place food in a glass or ceramic container to microwave, without any plastic lid or plastic wrap. Keep plastics out of dishwashers too : even if they are labeled dishwasher-safe. Dishwasher-safe refers to the melting point. Heat will cause your plastic to break down faster and leach additional chemicals into your food, so always hand wash your plastics. Don’t put anything fatty, greasy or acidic in plastic: These foods break down plastic and absorb toxic chemicals more than any other foods. Ditch your plastic when it starts to get scratched, cloudy or stained: This has always been the guidance on plastic, but it is easy to ignore. If you want to reduce your toxin intake, follow this rule and replace your plastic food containers frequently. Buy canned food that is BPA-free : Most cans are lined with BPA. Bionaturae cans are BPA free. Look for brands that do not use BPA and phthalates- like “Glad“. Know your plastics: Check the little recycling symbol before you buy: #2, #4, and #5 are the safest known plastics. #1 plastics are safe for one-time use. #3, #6, and #7 should always be avoided at all times. Search for toys and baby products that are BPA-free, PVC-free and phthalate-free. Plastic is everywhere! Be mindful and make one change at a time in your health journey. Once you’re looking for it, you’ll start to notice just how many times you rely on plastic every day. Skipping overly packaged foods- Buy food from the bulk bins. Choosing food packaged in glass instead of plastic eg. peanut butter sold in glass bottles. Packing real silverware for picnics and lunch boxes. Using reusable cloth grocery bags. Please share your tips down here in comments! Let me learn from you! If I were to introduce myself in one phrase that would be: I am a Physical Therapist by training, Health writer by occupation and an Activist by nature. My blog is my shot to create alertness for common diet and lifestyle inaccuracies that gets missed in the daily hustle. Please apply these functional and practical recommendations that I learnt it the hard way for superior health! Plastic is everywhere! Liquid vitamins and medicines too. Your best bet would be to check the plastic number written at the bottom of the meds. If it is #1, #2, #4 or #5 you are OK.
Or else the plastic is going to leach in your meds!